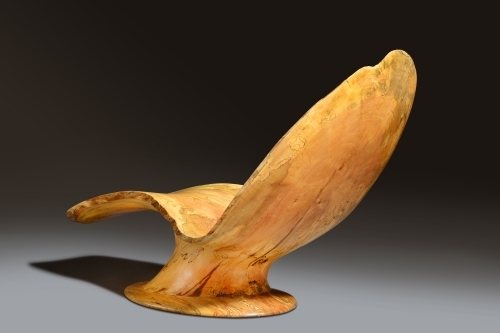 This magnificent chaise was crafted from a single maple tree, downed in the tornado that devastated our local area of western Massachusetts in June 2011. 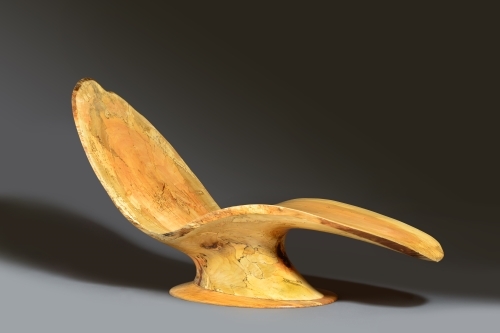 Sculpted to fit the human form, it is a pleasure to view and extraordinarily comfortable up to 6' 3". These dining chairs, in cherry with a curly ambrosia maple detail on the crestrail, offer an impressive combination of style and comfort. 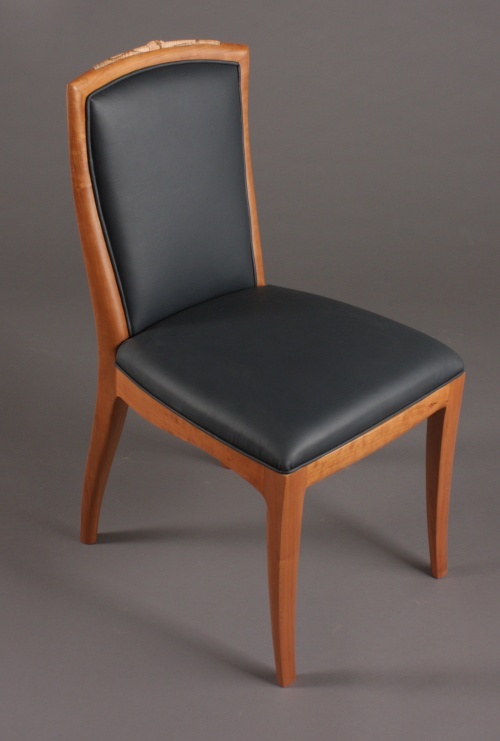 Shown here upholstered in navy leather. 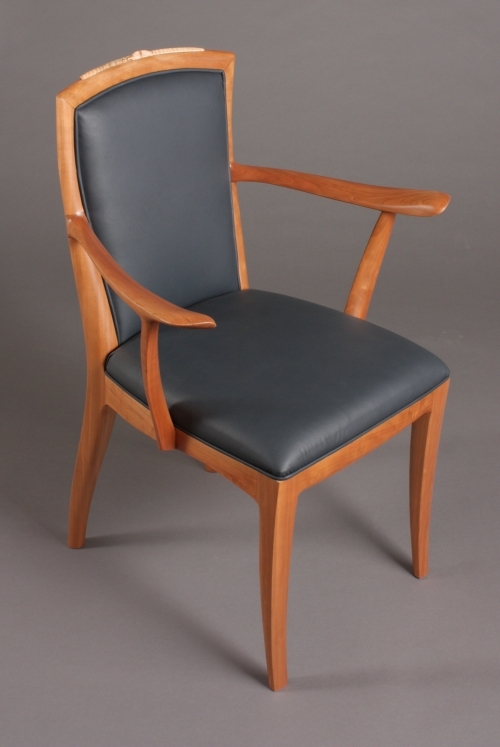 The armchair version of the chair offers increased comfort. The introduction of the crestrail detail defines these pieces as truly custom, as the companion tabletop is of this extraordinary curly ambrosia maple with a cherry base (table pictures coming soon). This chair offers a slightly broader seat and lower seat back. Made to marry with a round table, a key customer concern was for comfort and the ability to maximize the number of seats at the table. 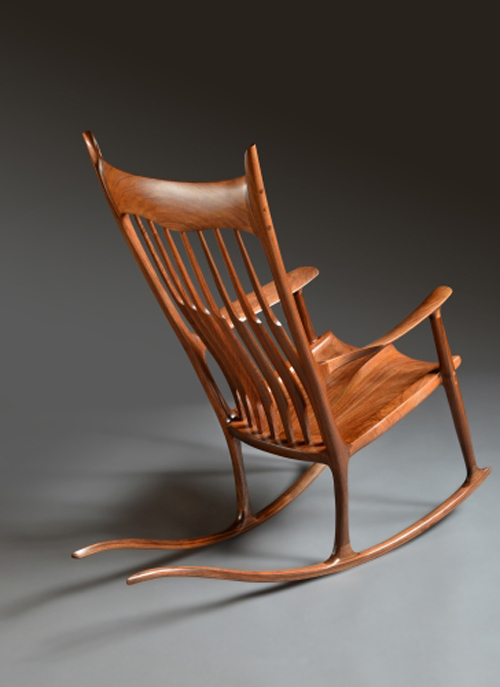 Fashioned after the classic design of Sam Maloof, this rocking chair was made in solid walnut. True to the original, it is comfortable beyond expectations with a sculpted seat, lumbar support and sculptured arms that are a joy to touch. 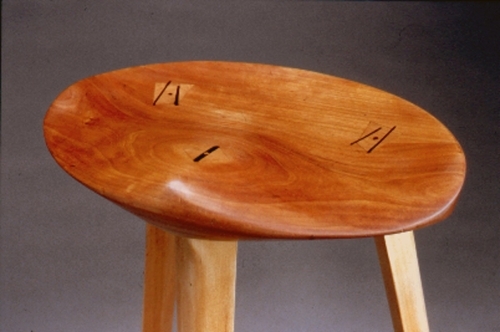 This "working"stool was designed by the artist for use in his shop. The 10½” x 18 ¼” footprint makes it perfect to tuck under a countertop for occasional extra seating, although you may find yourself gravitating to it for its comfort and portability. 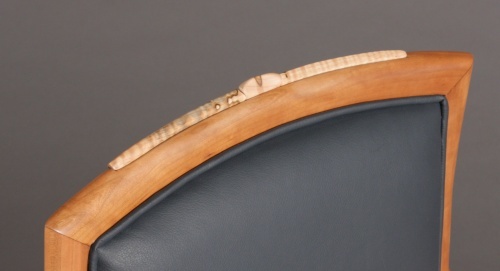 The cherry stretchers are steam bent, square pegged on one end and key wedged on the other. 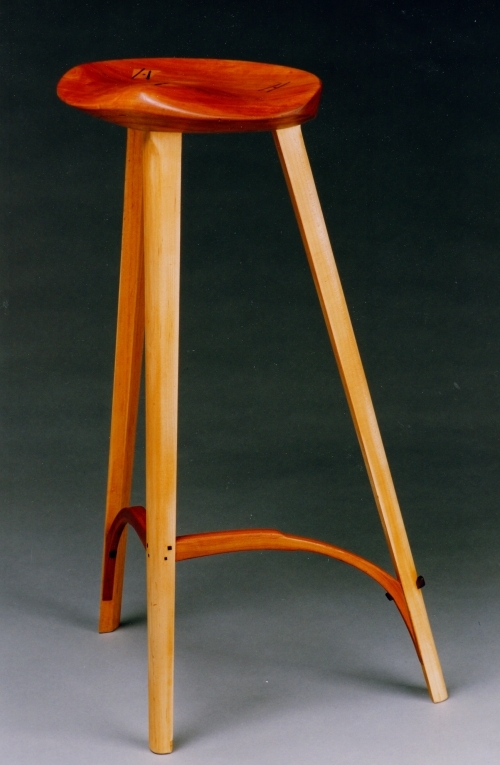 Shown at 30"h, the stool may be custom-fitted to buyers' height. 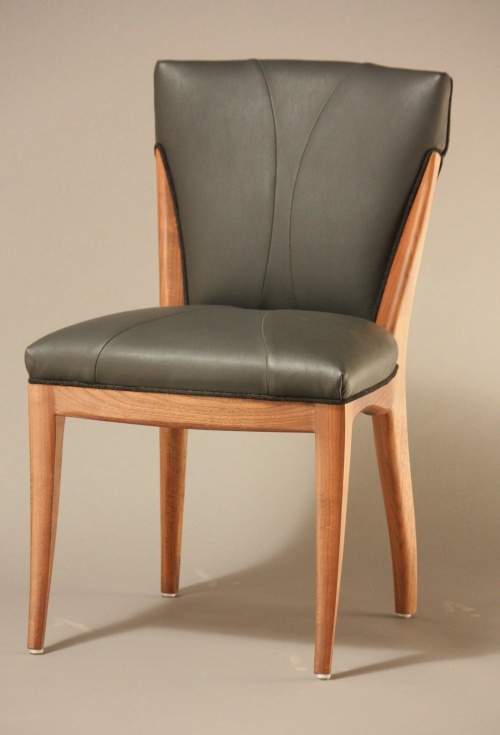 The sculpted cherry saddle seat reveals the triangular maple through tenons, secured by offset rosewood wedges.